The Ramayana Circuit of Nepal will be based around Janakpur or Janakpurdham, where Goddess Sita is believed to have spent her life before marrying Ram, and also include Ramdhuni where Sage Biswamitra take taken Lord Ram for education. The Nepal Tourism Board (NTB) has started working on a ‘Ramayana Circuit’, as suggested by Indian Prime Minister Narendra Modi who recently visited the neighbouring country. Though experts in the field consider promotion of tourism based on myths a tough job, buoyed by the success of the Buddhist Circuit, investors associated with the tourism industry are now interested in religious tourism as they set their eyes on ‘Vision 2020’, tourism officials have said. Senior NTB Director Nandini Lahe Thapa, who looks after marketing and promotion, said: “We have started working on the Ramayana Circuit based on a place called Janakpur.” She was speaking of the Nepal government’s plans and programmes during the East Tourism Mart held at Dharan in Eastern Nepal earlier this month. Janakpur or Janakpurdham, the headquarters of Dhanusa district in the plains of Nepal, is a centre for religious and cultural tourism. It is believed that King Janak’s palace used to be located in the ancient city of Janakpur, and according to Hindu epic Ramayana, Janak found a baby girl and named her Sita and raised her as his daughter. She was later married to Ram, the prince of Ayodhya. “The government is seriously working and formulating policies for the promotion of tourism by keeping in touch with India. The meeting of the Indo-Nepal Joint Commission for Tourism will be held soon, where more than 10 to 12 points will be discussed for the promotion of Nepal’s tourism,” said Thapa. The Ramayana Circuit will definitely help Eastern Nepal too in the promotion of tourism industry, following the government’s ‘Look East’ policy, said another NTB official. 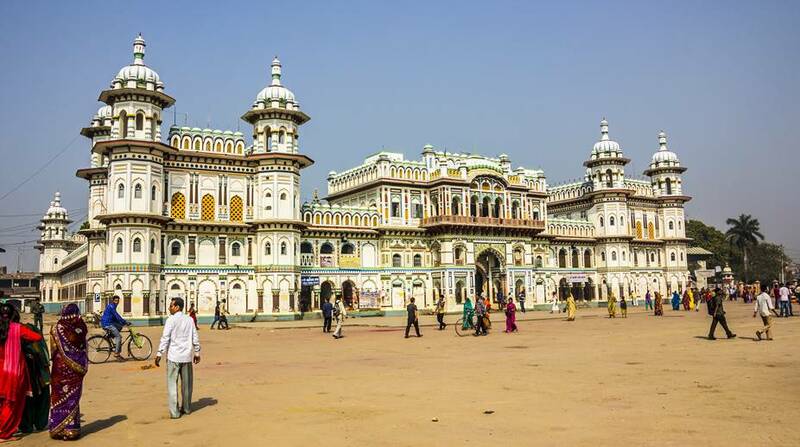 Though Janakpur is in central Nepal, it is close to the East too. 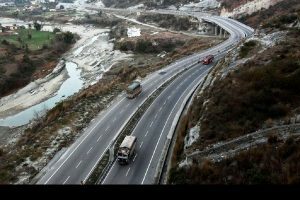 “We are interested in the Ramayana Circuit following Indian Prime Minister Narendra Modi’s suggestions to form the same from Ayodhya to Janakpur; rather from Ram from Ayodhya in India to Janakpur’s Sita in Nepal,” a prospective investor in Dharan said. It may be recalled that PM Modi, who was on a two-day visit to Nepal last month, had begun his tour by visiting Janakpur and offering prayers at the Janaki temple there. “Besides Janakpur, we wish to add another area that is Ramdhuni, around 32 km from Dharan in Eastern Nepal, to the Ramayana Circuit. Smoke always billows there, and people believe that Biswamitra brought Lord Ram here for education. Ram left the area after marrying Sita, while Biswamitra started a yajna. (It is believed) The yajna is still going on as Ram never returned,” said Basudev Baral, a Dharan-based tour operator. Deputy Mayor of Dharan Manju Bhandari Subedi also stressed on the need to develop religious tourism, especially by forming a ‘Hindu Circuit’ and showcasing many ancient places and temples like Pindeshwar, the temple of Lord Shiva, which is located in the forests of Rudrakshya trees, and the Dant Kali temple, another Sakhtipith, near Dharan. “This province has the highest potential in tourism. We want to promote religious tourism here, and pilgrimage sites like Barah Kshetra and Pindeshwar of Sunsari, Halesi Mahadev of Khotang are good places for tourists to visit. We have the lowest land of Nepal called the Kechanakalan to the highest mountain peak, Mt Everest. The Koshi Tappu Reserve Area is also a major draw for observation of wild buffaloes and birds,” she said. Locals believe that the Rudraksha is available only in Nepal and that this plant and its fruit have originated from the water that fell off Lord Shiva’s eyes. According to records, the highest number of tourists who visit Nepal is from India. According to officials associated with the tourism industry, roughly 1 one million people come to Nepal by air every year.